Last fall the image of a man walking around in a dinner jacket while holding a medical skull popped into my head. Why? Beats me! Your mind can take you to weird places. I’d wanted to take a stab at directing a music video for a while and thought “The Names” would be my chance. I’ve lived in London for the past two and a half years and one thing I love about it is the green space. There’s so much of it. Crystal Palace Park in south London is the weirdest park I’ve ever been to with its huge dinosaur and gorilla statues. I thought it’d be the sort of place a man in a dinner jacket with a medical skull would hang out. We also filmed in The George Tavern, a great pub in Shadwell. They told me Nick Cave’s performed there. I think that’s pretty cool! On New Years Day, while I was nursing my hangover, I watched David Bowie’s Serious Moonlight tour film. In the performance of “Cracked Actor” he holds a skull that starts singing along. I had already finished editing this video but was really thrilled by the coincidence. In a roundabout way “The Names” is my tribute to David Bowie, my favorite artist of all time. 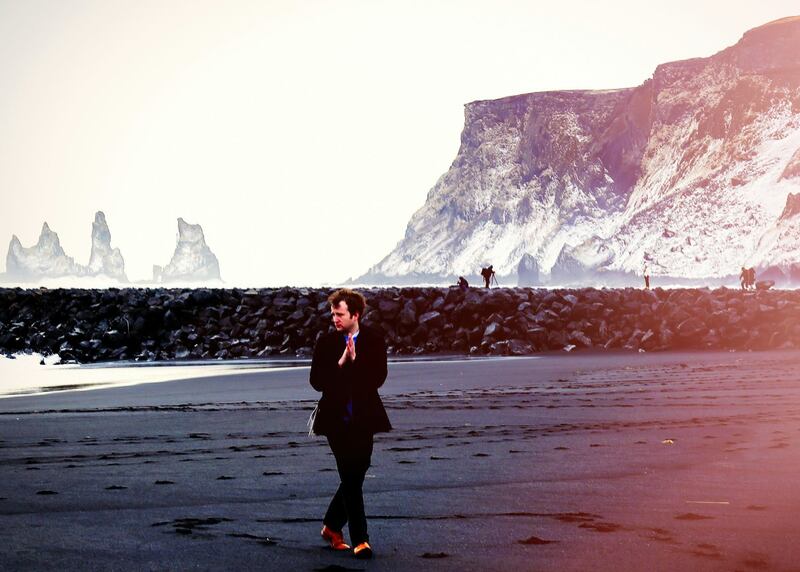 Baio’s debut solo album The Names was released this past fall on Glassnote Records. Following the release of the ‘Awake’ LP last year, Tycho has just announced news of forthcoming LP ‘Awake Remixes’ due January 15th (digitally) and May 20th (physically) via Ghostly International. 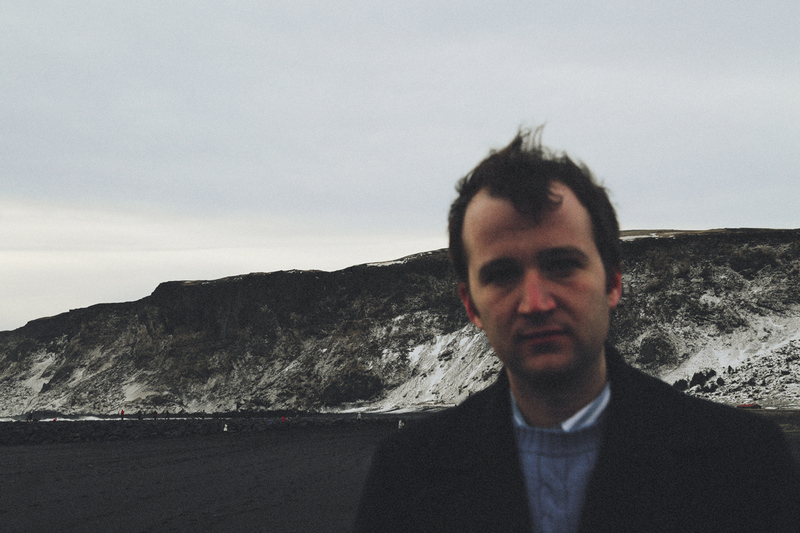 Baio of Vampire Weekend has remixed ‘Plains’, which is streaming online now. Baio, who splits his time between solo work and his role as bassist in Vampire Weekend, gives ‘Plains’ a kind of soulfulness, adding a driving rhythm to the original’s beatless ambience and dropping in snatches of vocal for texture and warmth. The track recently premiered on Zane Lowe’s Beats 1 radio show. Awake represented a high-water mark for Scott Hansen, the San Francisco musician better known asTycho. Described by Hansen as, “in many ways, the first True Tycho record,” Awake announced the arrival of Tycho as a full band, and it found Hansen streamlining the group’s sound, focusing on the drums and aiming to capture the energy and power of the group’s live set. The story of Awake arrives at its natural conclusion with this 12” of remixes, on which Hansen’s songs are re-interpreted by producers who make the songs their own while retaining all of their core elements. The digital release is out January 15thon Ghostly International, with the physical release set for a May 20th release. RJD2 takes the swift-kicking ‘Apogee’ and transforms it into tranquil instrumental funk; In the hands ofFew Nolder, ‘Montana’ becomes tense and driving, four-on-the-floor beat undergirding bright, rippling synths. Additional remixes from Com Truise, Christopher Willits, Bibio and Beacon, which had been previously released, have been added to this package. Taken together, the Awake Remixes offer a parallel narrative for Tycho’s artistic breakthrough. Additionally, the digital only Deluxe Version (link coming soon) of Awake now includes the original version of ‘Awake’ and all eight remixes available on the Awake Remixes album. Following the acclaim of Hansen’s momentous sunrise DJ sets at Burning Man in 2014 and 2015, he’s also announced his debut US DJ set tour. Listen to this Burning Man Sunrise DJ set here, and see below for the full list of upcoming dates. Pre-orders are available at The Ghostly Store, ISO50, and these fine retailers. Baio just droped the fourth song and title track off of his upcoming debut album, The Names, available for pre-order now, out September 18th on Glassnote Records. The song follows up the critically praised tracks “Brainwash yyrr Face”, “Endless Rhythm” and “Sister of Pearl” whose video recently premiered on Vice’s Noisey (WATCH HERE) and was the most played track at California’s KCRW that same week. Meanwhile “Sister Of Pearl” picked up support in the UK from the likes of Radio 1’s Annie Mac and Huw Stevens, and BBC 6 Music’s Lauren Laverne and Steve Lamacq. The Names, produced by Baio, explores ideas of space — of belonging, identity and finding a place in the world. Some of this was occasioned by his own geographical shift — having recently moved to London, he found himself struck by his new city’s expanse of sky, green space, and globalness — elements that infuse the record’s sound. Video directed by Daniel Navetta. “The Names” is out on September 18th via Glassnote. Pre-order it here. Baio unveils ‘Sister Of Pearl’, the stunning first single from his upcoming debut album, The Names, available for pre-order now, out September 18th on Glassnote Records. ‘Sister of Pearl’ is the second listen from The Names. The introductory track, ‘Brainwash yyrr Face’ touted by Spin as “SBTRKT-on-acid… a dance track pumped with dry ice,” is available to stream on YouTube. Baio announces his first full-length album, The Names, available for pre-order, out September 18th via Glassnote Records. The record takes it title from Don Delillo’s 1982 novel. The first song off of the upcoming release, album opener “Brainwash yyrr Face” is now available to stream via YouTube. 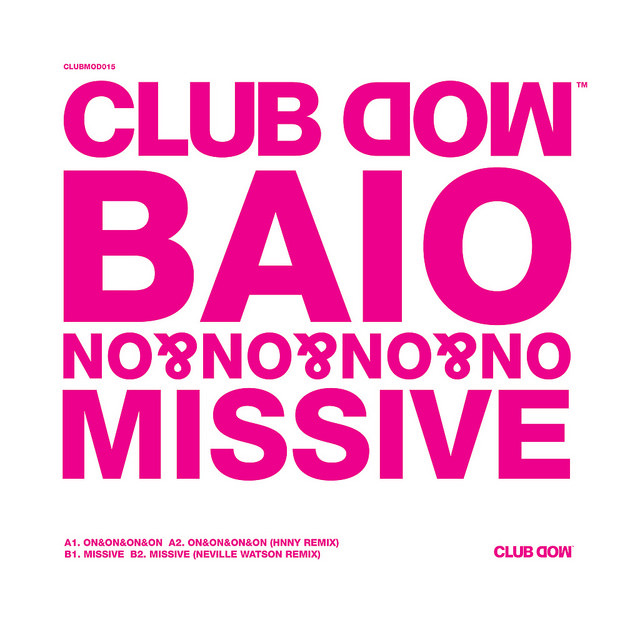 Following his excellent EPs, “Sunburn” on Greco-Roman and “Mira” on Future Classic, Vampire Weekend’s bassist Chris Baio returns with a new solo EP, called “On&On&On&On”/”Missive”, his first release on Modular’s dance-oriented sublabel Club Mod, under his DJ name, Baio. The now London-based producer has shared the lead single, “On&On&On&On”, which can be streamed below. The EP is out on September 29th 2014, complete with two remixes from Neville Watson and HNNY. Pre-order your copy here. 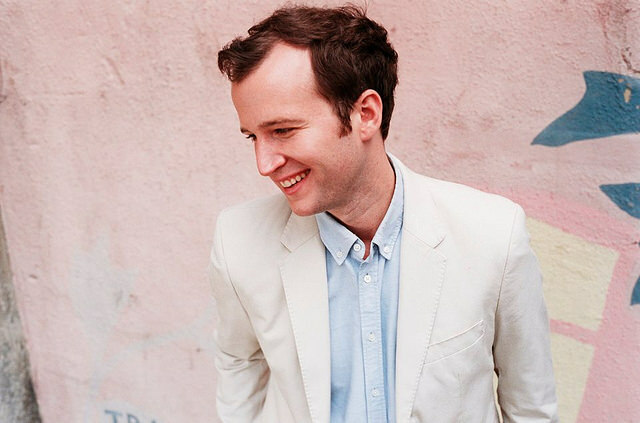 Vampire Weekends bassist Chris Baio reworks San Francisco’s Daniel Goldstein, a.k.a. Lane 8, recent single "Nothing You Can Say" into a beautiful tropical jam, which can be stream in full above. The track features vocals from Philadelphia-based singer/songwriter Lucy Stone and appears on Lane 8′s “The One” Remixes EP, which is out now on Anjunadeep. The release also includes two remixes by the likes of Matt Lange, and Bhok. Here’s Baio’s great summery remix for the track “Holding On For Life” from Danger Mouse and the Shins’ James Mercer’s project, Broken Bells. Taken from Broken Bells’ "After the Disco", which is out now.